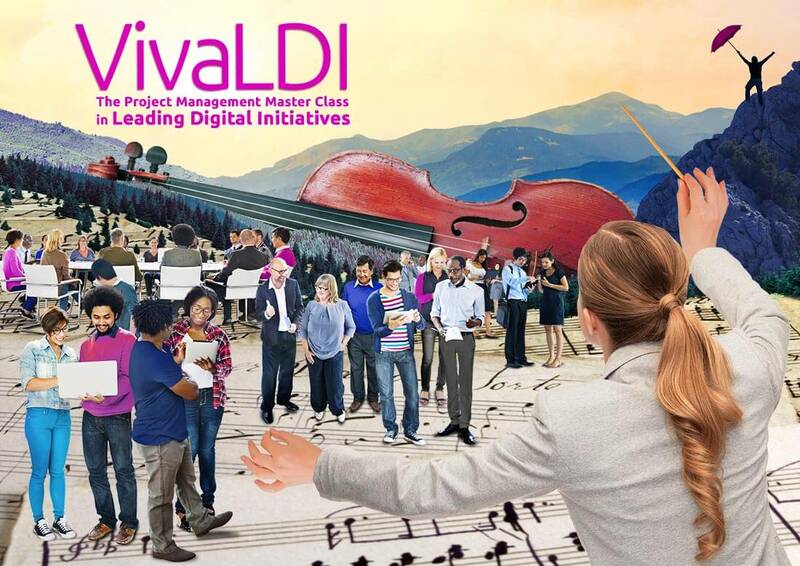 VivaLDI – The Project Management Master Class in Leading Digital Initiatives – is uniquely crafted for managers of complex digital projects, and is led by someone with extraordinary experience in the field. If you want a digital project to be completed perfectly, and to come in on time, and on budget, you have to manage it using professional Project Management disciplines. Digital projects are unusually challenging. These initiatives typically involve a team from multiple disciplines, often in multiple locations, all working in virtual spaces on intangible outcomes. As Project Manager, you must have the skills to conduct this orchestra and lead the digital project to success. The quality and practicality of VivaLDI has made it the digital PM master class of choice for major organisations in Finance, Technology, Education, Marketing, and Government – including Deloitte, Standard Bank, Unisa, and Aqua Online. In three days, you will learn how to become a successful leader of digital projects. You’ll master core Project Management disciplines from the toolkits of PMI, Prince2 and Agile, and develop powerful, practical approaches to interpreting and applying these disciplines. Your facilitator is a PM who has led international award-winning digital projects, including building Marriott’s global e-commerce site (which pulls in over $24 million every day); re-architecting Intel’s vast engineering site; developing complex mobile apps for You Magazine and Nimue Skincare International; and creating websites, e-learning ecosystems, and social media platforms for start-up businesses around the world. Whether you are charged with building an e-commerce system, a mobile app, or a blog, what you learn in this remarkable class will put you in command. VivaLDI is designed for Project Managers or project team members who are charged with successfully completing a digital initiative of any size. While primarily a class for PMs, it has proved of huge benefit to general managers, developers, and digital marketers, and entrepreneurs. After this workshop, you’ll have the skills and methodologies of world-class digital PMs at your fingertips. You will understand how to manage the apparent complexity of any digital initiative, how to balance time, costs and resources, how to lead a diverse team, and how to communicate and resolve project conflicts. The class even includes a mini boot camp in how to use Project Management planning tools effectively. You’ll leave with incredibly useful documentation and a suite of templates to use in managing and planning your projects. Duration: 3 Days (9:00 - 16:00) Fee: Public workshop R9,800 per person. Fee includes VAT, lunch, refreshments, workbook and certificate. Our in-house team boot camp for 6 or more participants receives a 10% discount. Johannesburg, Durban, or Cape Town. Book: Call Malinda on 021 794 7838.